The story began with an intense scene that set the stage for the rest of the story. This book was wonderfully executed and had me guessing the whole time. Sure there were certain things I could see coming, but I was never really sure until they happened. The damaged heroine meets an equally damaged hero and that made the story so much better to read. They each had demons of the past they were fighting and after meeting each other they were able to fight those demons together. Going in, I didn’t realize this book was the second in a series of four. Guess what? I never felt confused, or like I should know the meaning behind this or that. It can most definitely be read as a standalone and you won’t feel deprived. Of course now I would love to go back and read the first in the series. Also there was a nice little teaser of the next book and it was about the character that intrigued me the most. So I am interested in reading that one when it releases. This means, I believe that Ms. Simone has done her job and done it with panache. I want more of her writing, more of her books. 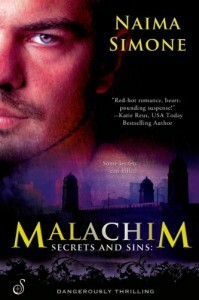 Mystery, intrigue, suspense and smoking hot romance: This is my favorite kind of book. So many of them now days fall short by focusing too much on the romance angle. Not this book. As the mystery unfolded we also got to see a romance bloom under difficult circumstances. I can’t express how much of a treat it was to read. The building anticipation of what you are sure is coming was drawn out perfectly. Not too much revealed and just enough to keep you riveted to the story. That is the perfect romantic suspense, in my book and Ms. Simone does the job wonderfully.